I read a blog post today about the different browsers, on elegantthemes.com, a developer of WordPress themes. 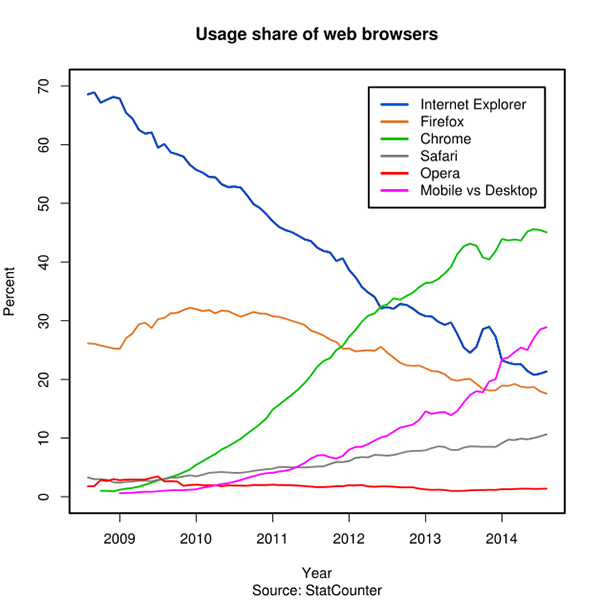 I was interested to see how much Chrome is beating the other browsers. I’ve used Chrome for a while because it’s good for web development but I didn’t realize how much of an edge it has, especially over Internet Explorer. Check out this infographic and read the entire article here.